Below are answers to some of the most frequently-asked questions about being a jog leader. Just click on the question to be taken to the answer. How do I become a jog leader? Do I need to be a fast runner to become a jog leader? My group is very small, what should I do? Can children come to my jogscotland group? How do I keep my group together when they’re all different abilities? My new members aren’t fit enough to start the jogscotland beginners programme, what shall I do? Where can I get jogscotland kit? My members are experienced runners and have passed the jogscotland advanced level, what shall I do? Sign up for our one-day jog leader course. 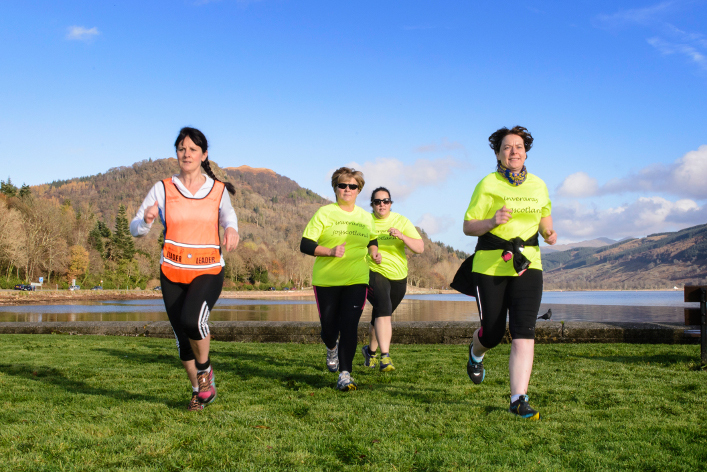 It includes practical and classroom sessions, and when you’ve finished, you’ll have all the knowledge you need to become a jogscotland jog leader, either setting up your own group, or helping at an existing group. You’ll be able to register your group on the jogscotland Group Finder and your sessions will be covered by our insurance. No! In fact some of our best jog leaders are people who were recently beginners themselves. The fact they remember clearly what new joggers are going through makes them brilliant jog leaders. The most important thing is that you are enthusiastic, encouraging and supportive to new members. You work with a local partner, like a local authority/leisure trust, or your employer, or a community health project. Your role might be as a member of staff, or as a volunteer. The organisation decides whether to charge for sessions, and if so, how much. You run your own group, charging a small fee for classes, which comprises your ‘pay’. Typical class fees charged would be around £2 per person per session, or £15-20 for a 10-week block of classes. You are self-employed. You run your own group as a volunteer but charge a small fee for classes, which goes into group funds. This money might be used to subsidise training more Jog Leaders, buying T-shirts, holding social events, providing transport to races etc. You are a volunteer, and run your group completely free of charge. There’s no strict rule about how many joggers you should have per jog leader. It will partly depend on your group – a session where everyone is of a similar ability is easier to manage than a mixed-ability group. If your group is growing or changing and you’re finding it harder to handle, you could encourage some members to consider training as jog leaders themselves. You could also ask some of the more experienced members to act as unofficial ‘buddies’ to newer members. My group is very small – what should I do? Don’t panic! A lot of groups start with a small number of members and grow gradually as word spreads. Don’t forget that even if just one person shows up, you’re making a whole world of difference to that person. If you’d like to increase your numbers, take a look at our Promoting your group page. Please see the page on using jogscotland with children and young people. Out and back runs – everyone heads out for an agreed length of time (eg. 15 minutes) and then turns around and heads back to the start – this should mean everyone reaches the finish point around the same time. Handicap races – using a set route, start people off in order with the slowest first. See if you can time it so that there’s a proper fight for the finish! This works well if you’ve also held time trials so that you know – for example – how long everyone usually takes to run a mile. Figure of eight – find a figure of eight route with one small loop and one larger loop. Runners can complete laps of the smaller loop, or of the bigger loop, or alternate between then. Whatever pace they’re doing, they’ll see other runners at the cross-over point. We have a walking programme which can help people to get to a level where they are fit enough to start the beginners programme. It alternates short spells of fast, purposeful walking with a more relaxed recovery pace, and gradually increases the amount of fast walking over a period of 10 weeks. Alternatively, some jog leaders adapt their beginners sessions for individual members, creating shorter jogging intervals. This can mean more work for you, but for some leaders it’s the right solution, enabling them to keep a new member in the same group as their friends, or stop them from giving up completely. Operate a dedicated session for your most advanced runners, at a level appropriate for them. This would not mean offering more technical training sessions, but might involve greater mileage or a faster pace. Use some of the suggestions above to cater to mixed-ability groups. Work with your local athletics club and encourage your more experienced members to consider joining them. You can find your nearest athletics club on the scottishathletics club finder. You might be able to arrange joint sessions with them to make the transition easier. You and your joggers can jog in whatever you’re comfortable in. We recommend well-fitted trainers, and sports bras for women, but other than that, whatever makes you and your joggers comfortable goes. We recommend high visibility clothing be worn when jogging, especially during the winter, and any other times of low light. Some groups like to get group T-shirts and other kit printed, which can help create a sense of pride and belonging. 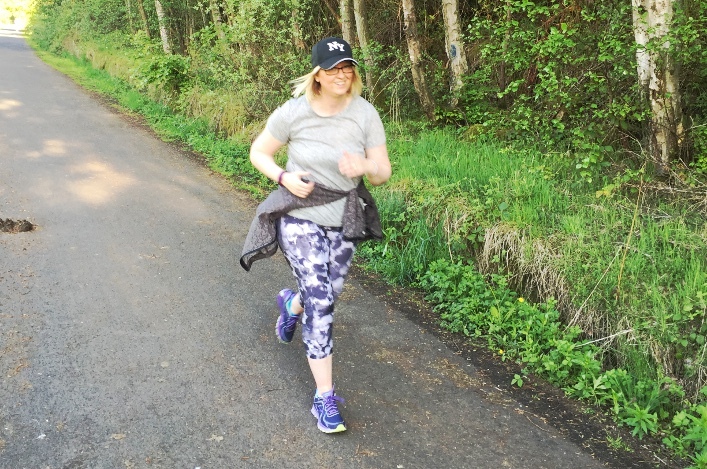 If you’d like to do this, you’re welcome to incorporate the jogscotland logo – always worth doing as it means other jogscotland groups will be able to identify you at big running events and say hello! You’re always very welcome to get in touch with us and we’ll be glad to try and help. 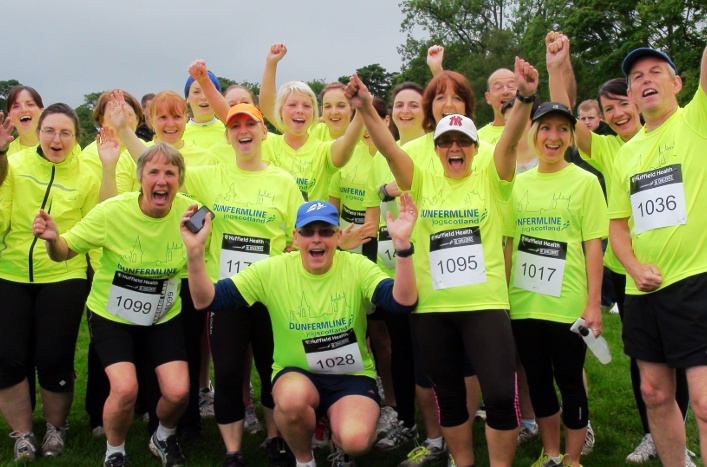 If you are a jog leader, you are welcome to join the jogscotland jog leaders Group on facebook. It is a very friendly and supportive group full of other jog leaders, from the newly-qualified to those with more than a decade of experience. Whatever your question, feel free to post it in the group and you’ll receive good advice from others who have been in the same situation.